Happy holidays to all our festival friends and family! In the coming year, we look forward to many more opportunities to learn, grow and network together. Wishing you and your colleagues a fruitful 2015 of healthy growth, increased budgets, enthusiastic audiences, and award-winning films… What more could a festival ask for? WATCH the December Webinar with Ira Deutchman: Can Festivals Afford Not to Converge? If you missed our webinar, you can watch the archived version below! Festivals: Can You Afford Not to Converge? Have you already signed up to join the arthouse theater community and fellow festival staff at Art House Convergence 2015? Or are you still on the fence? Either way, our December webinar makes the case for why AHC is a can’t-afford-to-miss pre-game for your Sundance experience… and why it’s worth even a stand-alone trip out west in January! Ira Deutchman is the Managing Partner of Emerging Pictures, a New York-based digital exhibition company. He is also Chair of the Film Program at Columbia University’s School of the Arts. Ira was the keynote speaker at last year’s AHC—which art house professionals and film festival staff alike agree was an unprecedented success—which makes him the perfect person to provide the skinny on the conference. As our guest at the webinar, he spoke to the practical benefits of attending AHC and also the extraordinary opportunity to discuss topics at the forefront of the ongoing developments in our dynamic industry. In addition, IFP Festival Forum Executive Committee members Jody Arlington, Colin Stanfield, Kristin McCracken and Chris Holland walked us through logistics, the attendee list, and the contextualized agenda we have planned for our 3+ days together. Note: If you’re ready to register for Art House Convergence now, remember to use code IFP2015 to receive the early bird registration rate through December 31. Register here. Hope to see you in Utah! 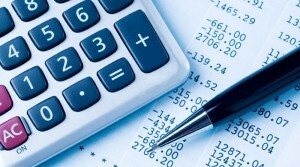 The Festival Forum budgeting webinar helps to demystify the world of budgeting and provide participants with the techniques and confidence to manage and control their budget effectively. Financial terms and budgeting concepts are explained in a way that festival professionals will immediately be able to apply to their own organizations. Lesli Klainberg, Executive Director, Film Society of Lincoln Center, and Colin Stanfield, Producer, New York Film Festival, uses “real life” examples and case studies in this interactive seminar. Have an idea for a future webinar? Email kristin@mccrackhouse.com. The IFP Festival Forum was founded in an effort to connect members of the film festival community in a dynamic and engaged conversation around the work we do. In order for us to develop a tried-and-true set of best practices—allowing the smallest festival to be just as successful as the behemoth—we have to talk to each other and share our knowledge. Independent Film Week in September and the Art House Convergence in January are two places where these conversations happen, but how can we keep talking all year long? Please check out the IFP Festival Forum on Facebook and follow us on Twitter. Are You Deploying Effective Practices for Successful Audience Engagement? Recognizing When Change Is Needed. Organizations saw a pattern of audience behavior that presented an opportunity or a challenge for their financial viability, artistic viability, or both. They recognized that change was necessary to seize this opportunity or overcome the challenge. In some cases, the urgency of the challenge or opportunity actually served the initiative by keeping it front and center, capturing and sustaining the attention of the entire organization over the years needed to build a following. Determining What Kinds of Barriers Need to Be Removed. Successful organizations identified the types of barriers impeding the target audience’s participation and shaped their strategies accordingly. Some case study organizations went so far as to spell out a vision of the relationship they wanted to cultivate with the new audience, including specific roles for the audience and themselves. By doing so, they gave their audience-building initiatives structure and a sense of purpose. Leaders and staff members understood how they wanted the audience to interact with their organization and developed programs to fulfill that vision. Staff expanded the ways people could access their organizations both literally and psychologically. Many organizations provided gateway experiences to acquaint newcomers with their activities. Others generated interest by making connections to things that their target audience already knew or by showing them different sides of their institutions. Check out the full report: The Road to Results: Effective Practices for Building Arts Audiences. Have a success story? We’d love to share it with the wider festival audience. Drop us a line at info@ifpfestivalforum.org. In response to the recent proposal by the Department of Justice that “would explicitly require movie theaters to exhibit movies with closed captioning and audio description at all times and for all showings…,” the IFP Festival Forum has submitted the following comment. The IFP Festival Forum is a professional association that advocates for the needs and interests of Film Festivals and their organizers. We provide a collaborative platform for members to develop and share operational and curatorial efficiencies, set professional standards, and establish best practices. The Forum serves the collective priorities of its membership while leveraging its leadership, expertise, and vision within the international film community and the broader cultural landscape. Founded in 2010, the Forum serves more than 200 U.S. & International festival programmers and executives. We are also tightly knit with a coalition of filmmaker organizations devoted to the support and advocacy of independent documentary and narrative filmmaking and the media arts, which serves over 400,000 filmmakers and media professionals nationwide. While there is not a definitive number of Film Festivals in the United States, a recent study calculated 2,000 US Festivals, representing 40% of the approximately 5,000 global film festivals. Similarly, the definition of a film festival is also not settled, but for the purposes of this comment, a festival can be as ambitious as a month long event screening hundreds of films in twenty theaters across a city or region, to a one to three day event in a library, university, convention center, hotel ballroom or outdoor tent. The current proposed rule would explicitly require movie theaters to exhibit movies with closed captioning and audio description at all times and for all showings whenever movies are produced, distributed, or otherwise made available with captioning and audio description unless to do so would result in an undue burden or fundamental alteration to serve patrons who are deaf or hard of hearing or blind or have low vision. Film Festivals by their very nature want to attract the widest audiences possible, and are supportive of the widest availability of technologies and training that will support accessibility to cinema for all Americans. But as written, without clarity for film festivals, the order could potentially create undue financial and logistical burdens on festivals, or result in destabilizing uncertainty among the field, non-traditional theatrical venues, filmmakers and audiences. Film Festivals often provide a platform for independent filmmakers to find an audience and distribution. Therefore the Film Festival exhibition can take place before the film has received funding. Once a film has attended a Film Festival and is fortunate enough to be acquired by a distribution entity the film may go through several edits before being ready to present in a commercial setting. We laud the DOJ for not requiring festivals to bear the cost of encoding for closed captioning nor place this cost on independent filmmakers, which could lead festivals to reject most films due to time and finances. In any of these circumstances, this would represent an undue burden on both the Film Festivals and independent filmmakers. We respectfully urge the DOJ to consider the following actions to ensure the new rules, which we support for commercial theaters, do not inadvertently stifle film festival culture, or create needless misunderstandings within the film festival industry, their vendors and audiences. The DOJ should consider explicitly exempting film festivals to prevent undue logistical and financial burdens, or confusion about compliance for temporary exhibition events. Most film festivals, even those that are presented under the direction of a year-round non-profit film society, institute or even art house theater, face intense logistical challenges as these events come together at the last minute, usually four to five weeks before opening, with short term temporary and volunteer festival staff. Most films are presented before they have been acquired for distribution and are not encoded with closed captioning and/or audio. But sometimes they are encoded. While every effort might be made to schedule an encoded film in an accessible-ready theater, the realities of scheduling are based on filmmaker availability to attend, size of theater appropriate for the anticipated popularity of the film, and even managing different exhibition capabilities and film lengths across multiple venues. The rule as written would not exempt a festival from showing an accessible coded film in a non-accessible theater, which might result in the film not being programmed, or otherwise unduly influence the artistic choices of programmers who are best suited to cater to the interests and needs of their local audiences. The DOJ should make explicit much earlier in the rule its definition of a movie theater to include only “facilities used primarily for the purpose of showing movies to the public for a fee” to prevent festivals, temporary venues and even audience confusion. Currently, festival organizers, venue operators and audiences discover that the rule doesn’t apply to temporary venues only after reading through the DOJ’s history of the moving image, analysis of audiences, financial models, and technical descriptions of equipment and systems for the blind, deaf, low-vision, or low-hearing audiences. The majority of film festivals rely on more than just movie theaters. They utilize hotel ballrooms, armories, convention centers, tents, outdoor screens and even cafés for venues. We applaud the DOJ for recognizing and exempting these temporary venues, so that libraries, hotels and convention centers that rarely show films will continue to make their venues available to festivals and other exhibitions without undue burden. More clarity on this point ensures that these venues continue to make themselves available to festivals, and festivals make films available to the widest audiences. The DOJ should calculate audiences by average attendance, not available seats, when determining how many devices a venue should purchase. Festivals work hand in hand with their venues, whether art houses, commercial theater chains or alternative venues. We echo the Art House Convergence and National Association of Theater Owners concerns on the formula that the DOJ currently deploys to determine number of devices for theaters. It should not be based on number of seats, but on average daily weekend attendance, to reflect actual audiences, not maximum potential audiences. The current calculation by number of seats per theater to calculate number of required devices leads to unnecessary expenditures without providing any real enhancement of accessibility for the disabled. Yet that money is critically important to Festival groups and art houses that have small budgets and need more money to promote their important mission. For its part, the Festival Forum will explore best practices for our members to better communicate on accessibility issues with their audiences, and train temporary staff in the use of equipment in venues where they might be called upon to assist with the operation of such devices. We would support any efforts to help independent filmmakers afford encoding so that larger audiences can experience their films.